When I saw the name “Chicken Legend” from the email invite sent by the owner Jasper, a young entrepreneur, I thought it was a Fast Food Restaurant specialises in Fried or Grilled Chicken meal. But it turned out to be offering a new concept of Steamed Boat, Coconut Water Steamboat. This is a first in Singapore. I was elated with this idea as I always like trying new things. And so I accepted the invitation and went down for the degustation with a friend. 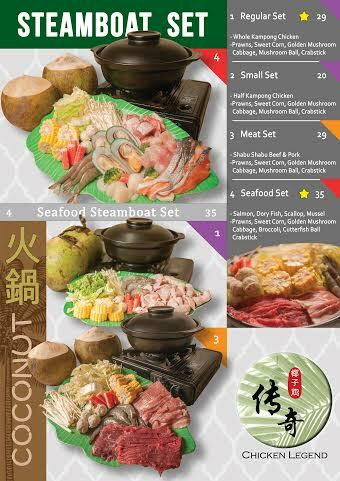 Chicken Legend offers various steamboat set which is good for two. 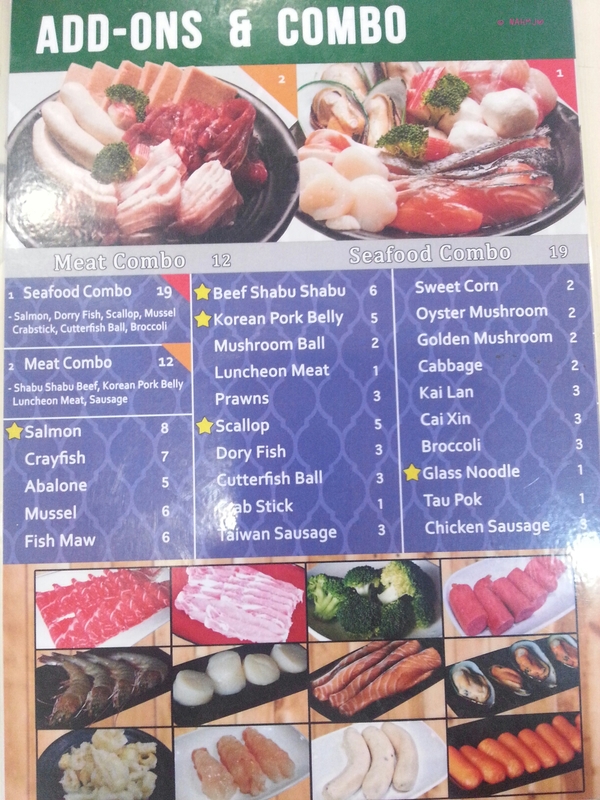 There are Chicken, Seafood and Meat Set catering to different preferences. You might also notice a Small Set in the menu, this is suitable for the small appetites, especially when the meal is shared by 2 ladies. If you like more ingredients in your steamboat, you could always add on individual ingredients or go for the combo as an alternative. 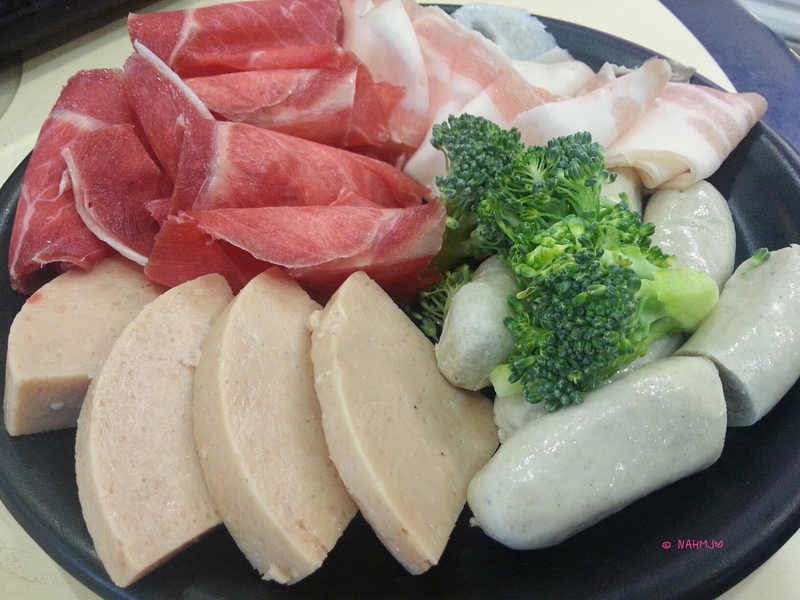 At Chicken Legend, they uses Kampong Chicken and Shabu Shabu Meat. The specialty in Chicken Legend is Kampong Chicken with 100% Coconut Water Broth so I would strongly recommend that you should get a Chicken or Small Set for a start with 100% Coconut Water as broth. 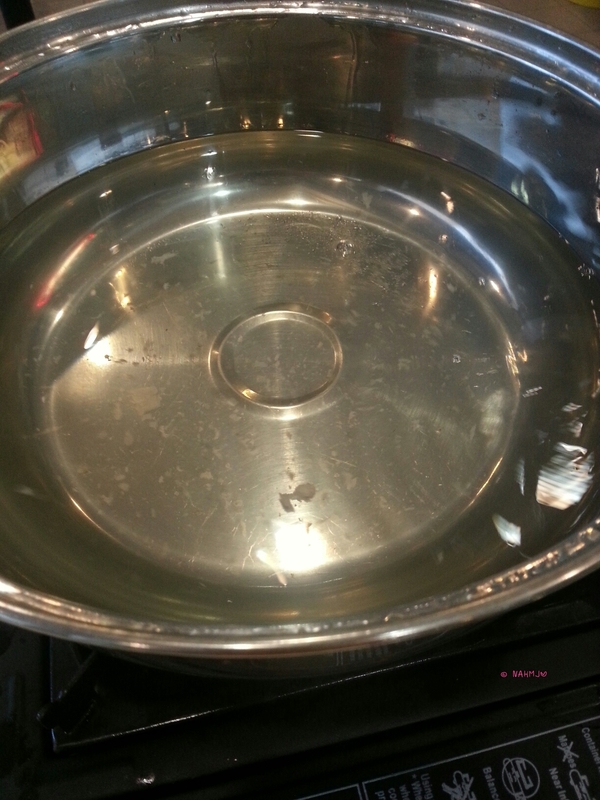 When I saw the broth, so light, to the extend of colourless. The look is as good as tap water, I was rather skeptical about how good it will turn out. It turned out to be amazing, with just simply coconut water and a pinch of salt, no additional sugar or MSG. Wow!! Looks can be deceiving at many times. Since I went with a girlfriend, we have the Small Set, there were Kampong Chicken, Prawns, Golden Mushroom, Mushroom Balls, Corn and some Chinese Cabbages. As we were so hungry, we have an additional add-on of the Meat Combo. 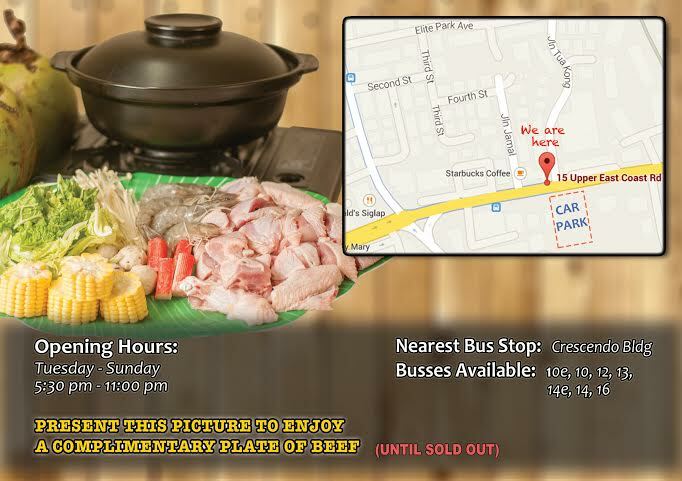 In it, there were Beef and Pork Shabu Shabu Meat and Luncheon Meat and Hotdog. In case you have a stronger palate and would love some dips for the meat, Chicken Legend also offers some Homemade Soy Sauce dip with lime and garlic and chilli padi for the spice lover. 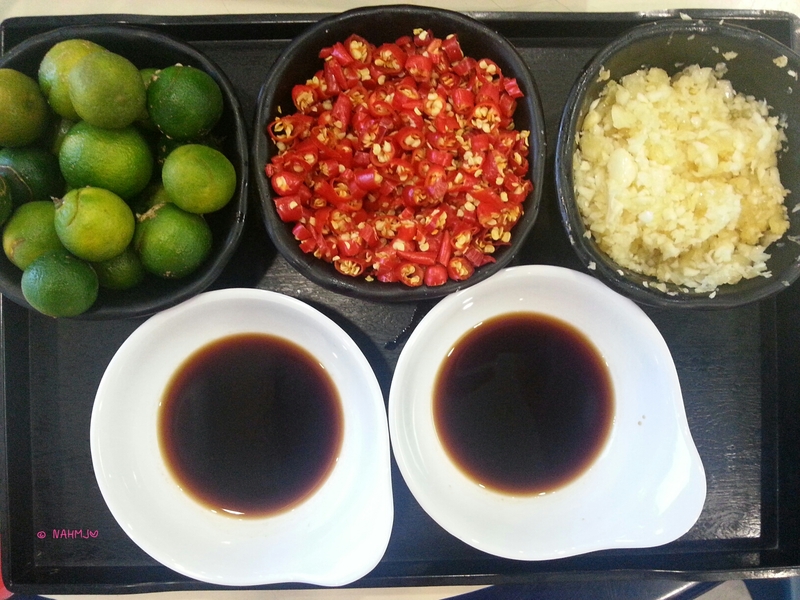 We were advise to squeeze in one lime to the soy sauce and add the preferred amount of chilli padi and chopped garlic into it. I like the dip, it was so refreshing and most importantly appetising. We added all the ingredients into the Coconut Water broth and was advised to leave the prawns aside first. 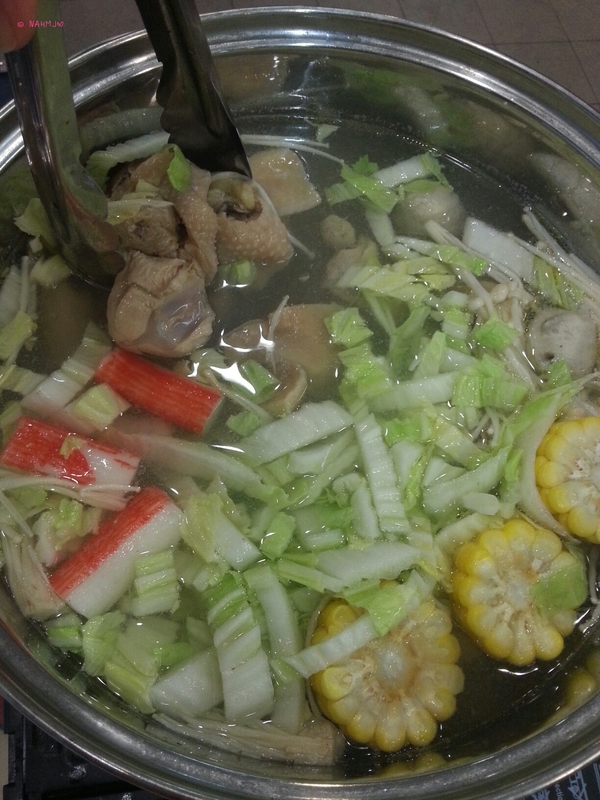 The result of the Steamboat was a sweet sweet Vegetable Chicken Soup. I was taken aback by the outcome. Towards the end of our meal, when the prawns were added, the soup was transformed into another awesome flavour. You need to try it. And to complete the meal, we have some Glass Noodles (Dong Fen). The other options available are Rice and Mee Hoon. My friend and I enjoyed the meal and it was certainly filling. 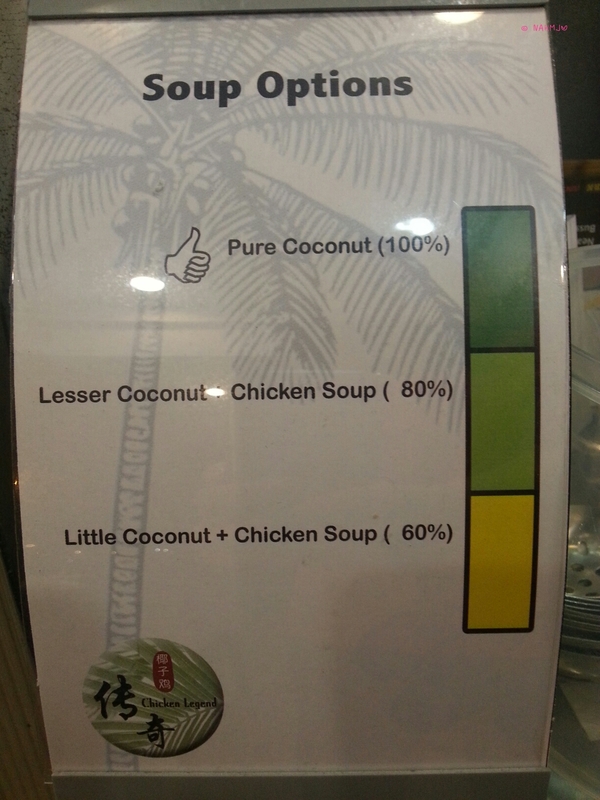 Chicken Legend have options of different percentage of Coconut juice for the broth too, in case you prefer a stronger Chicken Soup Base. In a nutshell, though I am not a Steamboat fan, I enjoyed the food. And without doubt, my friend did as well. 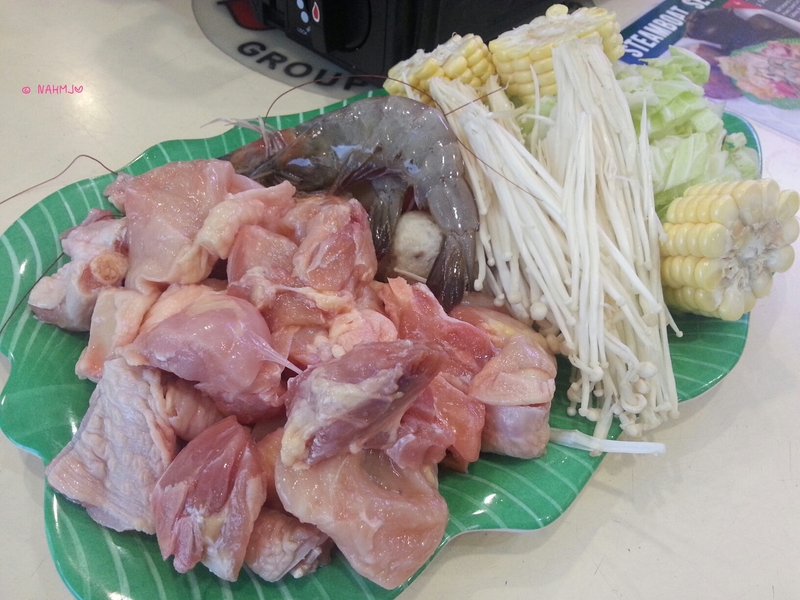 We will certainly return to savour Chicken Legend’s Coconut Steamboat again. Chicken Legend has also kindly offered a promotion for NAHMJ’s reader with a complimentary plate of Beef when you dine with them. Either quote “NAHMJ” or show the above image “Promotion for NAHMJ’s Readers” when you order. *This is a food tasting invite.